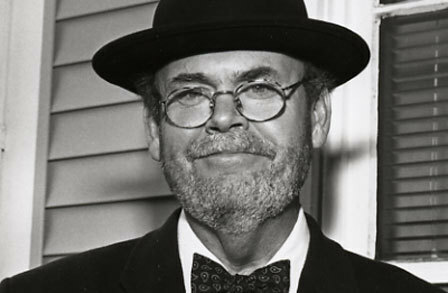 Thomas Lynch is a Michigan poet, fiction writer, essayist and undertaker. Yes, you read that correctly. In 1974 he took over his father's position as funeral director in Milford, Michigan, and has served that community ever since. His 1997 essay collection, The Undertaking: Life Studies from the Dismal Trade, received the Heartland Prize, the American Book Award, and was a finalist for the National Book Award. He has contributed to such publications as The New Yorker, The Paris Review and The London Times. He and his work have been the subject of two documentaries — one produced by PBS and the other by the BBC. He is the author of five poetry collections; his most recent is The Sin Eater: A Breviary — published by Paraclete Press, and in an Irish edition by Salmon Press. He spends a portion of each year at the ancestral cottage in West Clare, Ireland, that was the home of his great, great grandfather. The following poem is from his collection, Still Life in Milford (Norton). perched in a thicket of bald branches. jackets, the fresh scent of heaven. God said Eve and the woman looked heavenward.